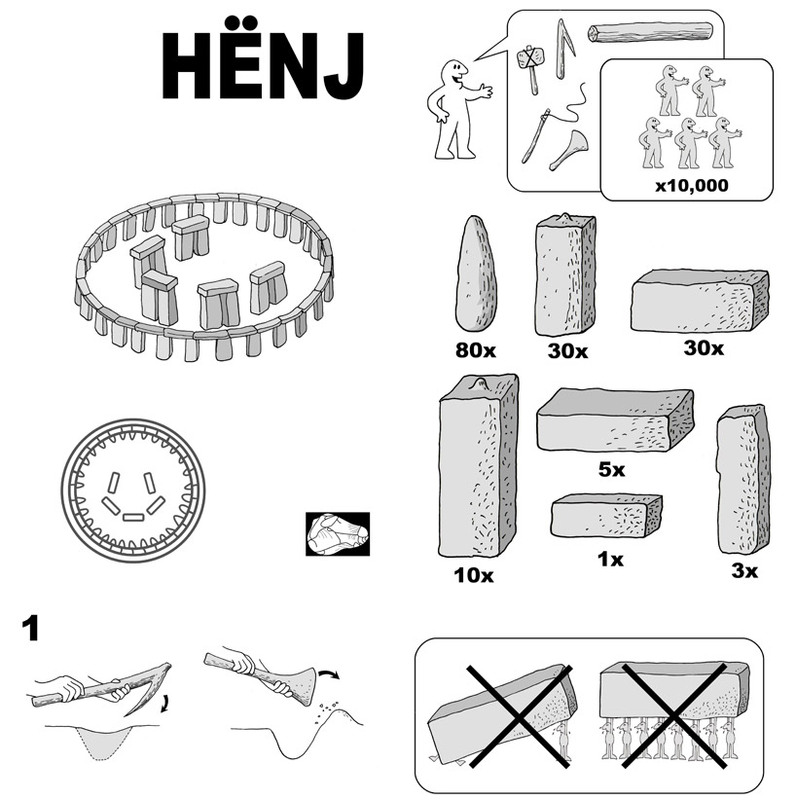 A little history, a little mystery, and a lot of fun, these playful tongue in cheek instructions revisiting of the building of Stonehenge are sure to evoke a chuckle from anyone who has had trouble assembling something ‘simple’ from an IKEA store. 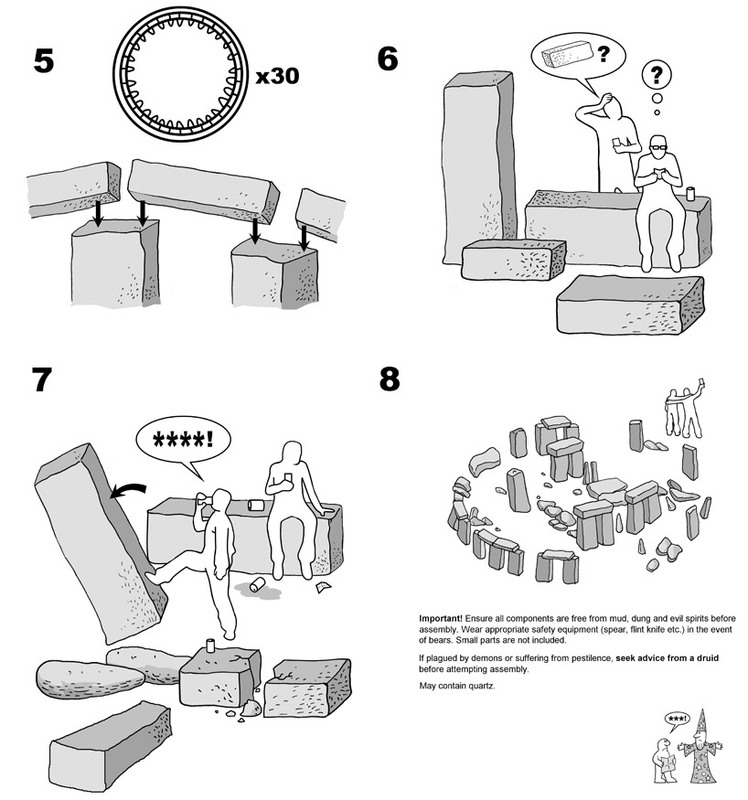 As with actual IKEA instructions, this ‘manual’ by writer Justin Pollard made up of black and white illustrations shows you not only how to do something, but also how not to put the pieces together — a light-hearted debunking of many methods thought to play a part in this ancient architectural wonder. 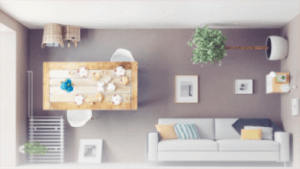 No enormous Allen wrenches are required in this farcical and funny IKEA manual, but the pictures hint that in addition to about ten thousand workers, you might need some help of the magical variety to get the project finished. From giants to wizards, it seems clear that the steps required are not trivial, and, in the end, most (mortal) people may give up and grab a beer before completing their variant of this gigantic do-it-yourself project. Much like the mood of many people tasked with assembling some of IKEA’s more complex pieces of furniture. Maybe they’re not all that far off. 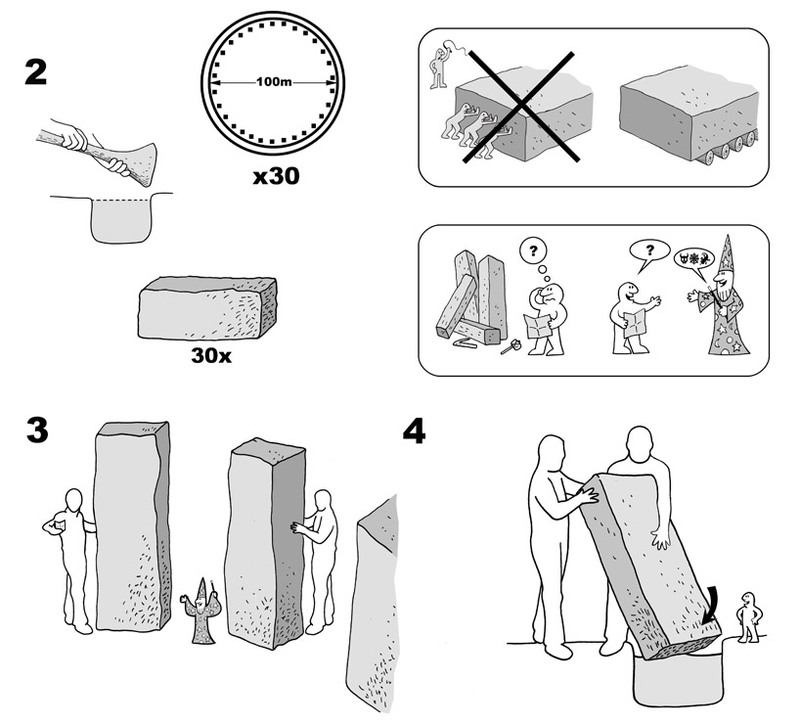 According to one British professor of later prehistory at University College London, there’s a possibility that the stone slabs used to build Stonehenge and similar monuments around the nation were sourced in Wales, erected nearby and then transported to England about 500 years later in what might just be the world’s earliest example of IKEA-style flat pack shipping.